Paris. Some call it a city of love. Some call it a city of lights. It is also noted for its shopping. Have you ever been to Paris? I had, back in 1994 when I visited my brother who studied in Germany at that time. It was an unforgettable road trip experience, being able to wake up in Germany, discovering Belgium during the day and had dinner in Netherlands. A trip to Paris itself was truly memorable. Eiffel Tower is magnificent and a visit to Louvre Museum is a must. Are you looking for Paris Party Ideas? Inspired by the love of Paris, I had a client who requested a birthday party invitations and decorations for her little girl. The main colors are pink and grey. I accepted the challenge and had so much fun creating them. My biggest reward would be receiving these wonderful pictures including this one below. You can find Paris Party Banner, Centerpieces, Cupcake Toppers, Favor Tags, Tent Cards, Stickers, and Invitations in my shop. 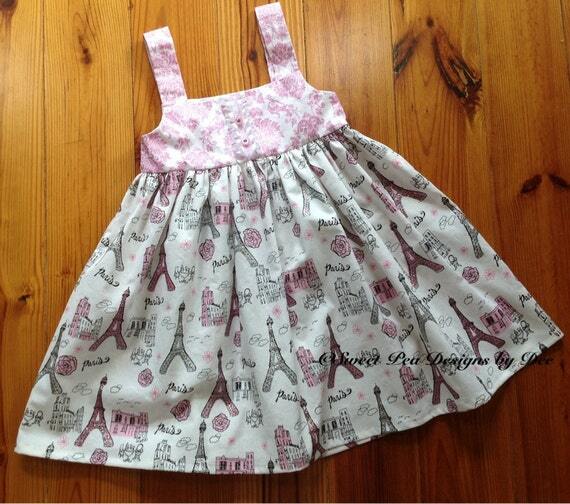 Now that we have a Parisian party to plan and attend, what would you and your little girl wear? 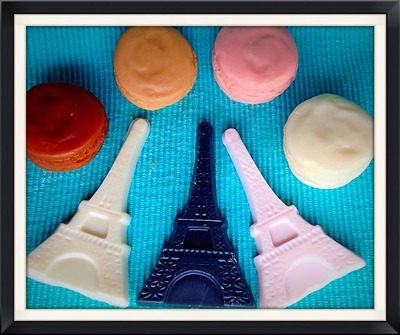 Here are some French Parisian inspired gift ideas you could get. Just click on the picture to go to the individual shop. Large Faceted Rhinestone Pendant, Sparkling Pink Silver on Beaded Necklace by Anna’s Faire. Thank you for stopping by. I hope you find some Paris party ideas here, whether decorations or gifts. Feel free to leave a comment. I can tell you that it’ll make my day for sure. Sharing this post is also much appreciated. ← Hello and welcome to Adore By Nat, your place for party decorations! Just beautiful! Thank you so much for featuring my Effel Tower Dress! 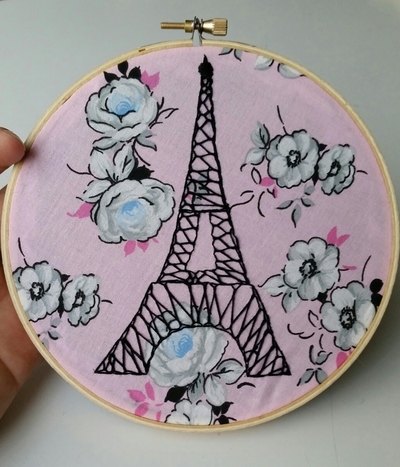 Your Parisian themed decorations and gifts are so creative and pretty, I love seeing your work. What a fun blog post, Natalie. You sure captured the feel of Paris with your party decorations and the items you featured. I visited Paris for three days many, many years ago and long to go back and explore some more. So much to see, and despite what you hear, I found most people there very friendly. Many thanks for including my earrings. Will share the post with the world now! Great ideas for a pretty party with a Paris theme! Thank you for including my lanyard! Shared! 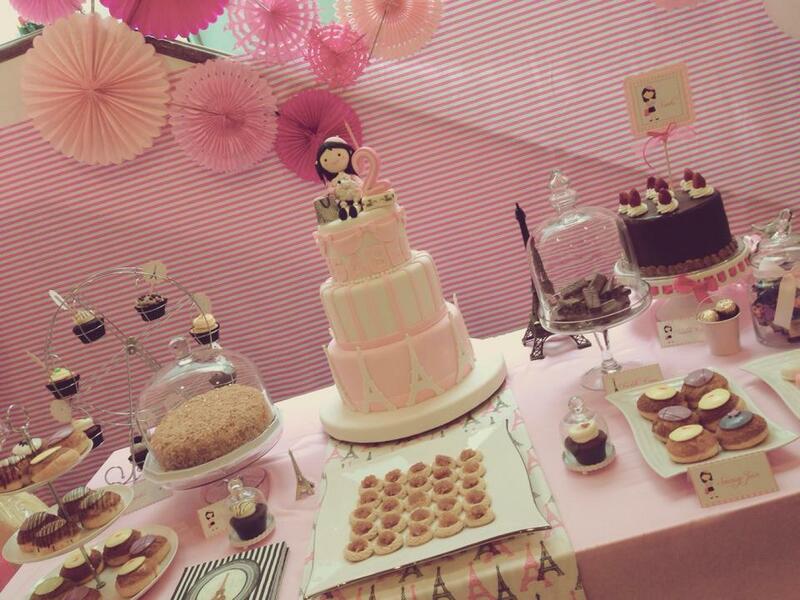 Such a great idea for a little girl’s party! 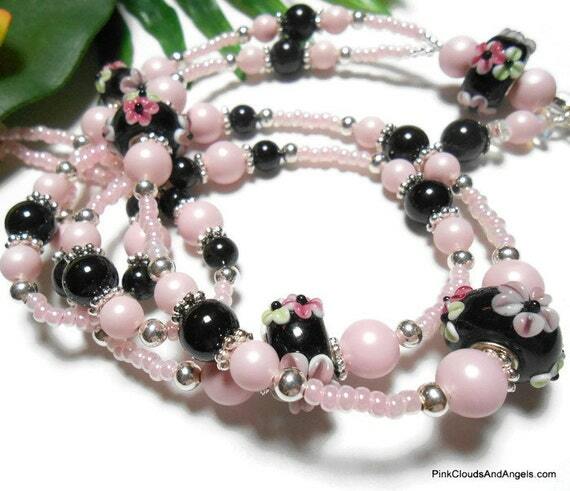 Cute pink items to fit the theme, too, Natalie! Cute blog with so many ideas! Love all the pinks! Fun post and trés chic! J’adore Paris! Sure makes me want to go to Paris!